I just found your site (through the amazing post you did a while back on the politics of yarmulkes) and have enjoyed reading it. I admire how you try to find an amusing path through all the ideological strife that seems to roil the Jewish world these days – I imagine you know the story in Ta’anit about the two comedians who merit the world to come (I read it in English in a book by R’ Telushkin a while back but applications seem to keep coming up). I am not yet at a high level of being able to find the sad satirical humor in our present situation. Beyond thanking you for your brave writing, I wanted to ask if you are still in the Bay Area. I live in (Exact city removed) and am considering going to yeshiva at some point, but I am having a very hard time making a decision because there seems to be a lot of risk in accidentally aligning with a hashkafa that maybe doesn’t actually make sense, even if it claims a true mesorah (but how to actually figure this out without going to a yeshiva to get the foundation to figure it out from the sources?). Would you have time to meet up over coffee at some point to talk through some of the complex terrain? When I get something like this, I always hope the sender will give me permission to re-post, because I think the readers will probably have something interesting to add. I think questions like this are going to become more common, because of our dear friend the internet. Back in the day, your local orthodox Rabbi would have convinced you to go to some random yeshiva in Israel and beyond their brochure, you probably didn’t have much to go on. The beauty and curse of the internet is that potential Baalei Teshuva can do really good research into the derech they wish to take. The problem is that no one hashkafa is going to work for anyone. 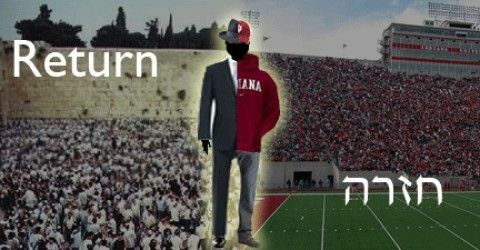 The kiruv world skews toward black hat, gone are the days of moderate kiruv, in general kiruv yeshivas and rabbis are on the right side of the spectrum. I’m not really sure what you mean by true mesorah and I’m not sure anyone can really claim their derech as the right derech. There are general beliefs in Judaism, but much of what different groups hold of comes down to social norms. If you go to any yeshiva, whether it be renewal or yeshivish, you will be expected to conform to their set of social norms. One of the advantages to becoming frum nowadays is the fact that there is a fairly vast network of kiruv programs out there that allow you to do research without having to commit to one hashkafa, they will of course try and force you to drink their brand of koolade, but you don’thave to. Even within kiruv organizations there are sometimes multiple different hashkafos and styles. In the Bay Area we have the JSN (in my response he mentioned that he’s familiar with it) and within the JSN there are Rabbis who are more modern and rabbis who are more yeshivish. The biggest issue with kiruv is that they are basically sales people and so you really have to pry to get them to open up. On the flip side you can always find a local chabad and get some of that flavor, but chabad kiruv generally seeks to turn you into a chabadnick and if that life style doesn’t suit you I would stay away from chabad yeshivas. Of course every yeshiva is trying to turn you into what they think is the proper mode, but chabad in general doesn’t work for people trying to explore and meld different hashkafos. Remember, you really don’t need to be aligned with one hashkafa. Yeshiva is good to get a basis, but I’m not sure what you are seeking? A lot of times your hashkafa will change with whatever community you happen to live in. I don’t consider myself yeshivish by any means, yet I feel more comfortable in frummer communities. I tend to not conform personally, but what I do on my own time doesn’t concern my community members, it’s more of a social thing and I prefer to be in a shul where I’m the least frum rather than the most frum. The best advice is to keep an open mind and don’t rush into things, you don’t have to align with anyone overnight.